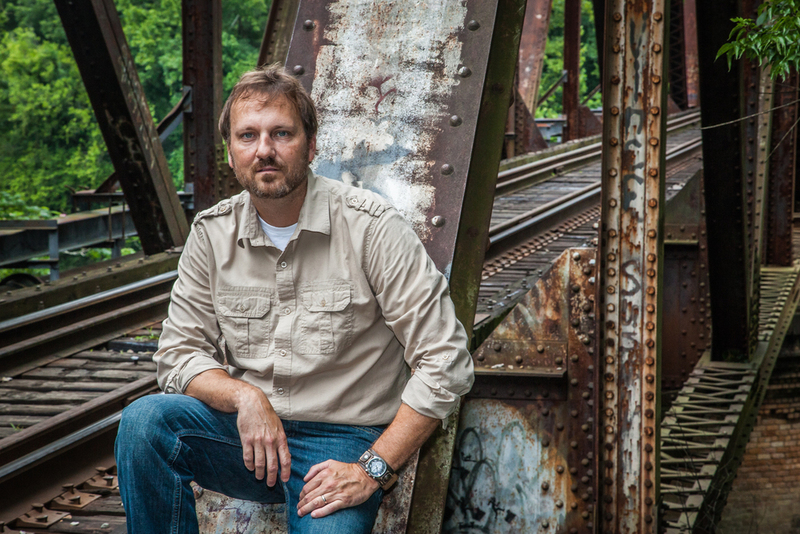 With his upcoming novel, Rivers, set to release Sept. 10, Dr. Michael Farris Smith, associate professor of English at MUW, has been leading a very busy life. The novel has also been chosen as the Common Reading Initiative at MUW for the school year. His awards include the Mississippi Arts Commission Literary Arts Fellowship, the Transatlantic Review Award for Fiction, the Alabama Arts Council Fellowship Award for Literature and the Brick Streets Press Short Story Award. Works from Dr. Smith can be found in both fiction and non-fiction form, with some of his short fiction work being nominated twice for a Pushcart Prize. A novella, The Hands of Strangers, was a part of the Eudora Welty Symposium. His essays have also appeared in The New York Times, as well as various other publications. In between writing and helping care for his two little girls, Dr. Smith granted the Spectator an interview, giving students an insight into the mind of a writing genius. Spectator: Did you want to become a writer growing up, or did this career path come later in life? Tell me about your journey. Smith: Growing up I only wanted to be a Major League shortstop or a rock star. Didn’t really matter which one. The idea of sitting still and reading or writing wasn’t appealing to me, and I didn’t do much of it. I was 29 when I started writing after developing a love for reading and just feeling the urge that this was something I wanted to try. I’m lucky that I was too naïve to know how difficult it was going to be. Spectator: In The Hands of Strangers Estelle and Jon cling to the hope that they will find their missing daughter. Cohen, the main character of Rivers stays behind in a place ravaged by hurricanes after losing both his wife and unborn child. How do you create and maintain characters who are so resilient despite their horrific situations? Smith: I think it’s important to put your characters into difficult, heartbreaking, even almost impossible situations. What makes a character interesting is how they react to trouble. It’s not difficult to be a good person when things are going your way. I hate to admit it, but when I’m creating a story, I try to figure out just how much a character can take before they break. And then what happens. Spectator: Along those lines, both of your works, The Hands of Strangers and Rivers, deal with loss and grief in the midst of life changing experiences and circumstances. Does this come from some life changing experience in your own life in which you felt extreme grief or loss? Smith: I don’t really pull from my own life experiences, but as a person I’ve suffered loss just like everyone else. I think I know the emotions of loss and loneliness, and maybe they manifest themselves in my characters. That’d be a question for my subconscious. Spectator: What is the most demeaning thing said about you as a writer, and how do you react to demeaning comments or bad reviews? Smith: I’m not sure, but God knows what’s been said when I wasn’t listening. Maybe I wear the same shirt a lot? I’m not too concerned about bad reviews, everyone has their own opinion. I try as hard as I can and whatever happens, happens. Spectator: What is your writing process like? Do you have a drink, write in your pajamas, or have any other routine quirks? Smith: I tried to write intoxicated in grad school, hoping to channel my inner Jim Morrison, and it turned out to be some of the worst prose ever written by a human. It was more fun, but terrible. I usually work in the mornings after I’ve delivered my daughters to school and daycare. I like the quiet of the mornings, before the day gets going and life stands in the way. But I do need a routine, and I look forward each day to my morning hours. Spectator: How has working at MUW affected your writing? Do your students or the atmosphere have an influence? Smith: I like working with our creative writing students because it gives me the chance to talk the language of writing, and I feel that’s important for me. There is such a thing as too much solitude. I also like seeing beginning writers improve and I’m happy to help in that process because I had mentors who encouraged, edited and pushed me when I was starting out. Spectator: As a father of little girls, have your daughters ever messed up a manuscript accidentally? What role does fatherhood play in your writing? Smith: Daddy’s laptop is off limits. But as far as fatherhood playing a role, I know it has helped to mature me as a writer because becoming a father added an intense emotional dimension to my life that wasn’t there before. You think differently. Act differently. And once again, your subconscious ascribes to that and influences creativity. Spectator: Do you have any ambitions or goals outside of writing? Smith: I’m hanging on to the rock star thing. Spectator: What advice would you give to those who hope to one day publish their own work? Smith: Put your head down and work. Read daily. Write as much as you can. Put down the electronics and look, listen. Don’t worry about publication because if you work hard enough it will come. Be tough. Spectator: With so much ado about Rivers and a recent piece published in the New York Times, do you feel any different? Do people treat you any differently? Smith: I do feel validated, just like I felt validated with The Hands of Strangers and other stories and awards. Yes, this is different, on a bigger scale. But I think what helps me is that while I’m very satisfied for now, I want to get to what’s next in terms of my writing. As far as being treated differently, the Spectator now asks me for interviews. Spectator: Which character that you've written about do you most identify with and why? Smith: That’s a tough question, and I’m not sure I have an answer. Spectator: Do the names of your characters have significance in your life, or did they come to you randomly? Smith: They are pretty random, but I’ll admit that when I was picking out a name for Cohen, I had just read a collection of Coen Brothers interviews, and I so love their films and the way they tell stories. So I added an H in the middle, but named him because of that. Spectator: Now that you have been the first faculty member to ever be featured in the Spectator's "Faculty Spotlight," will this affect how much you read the newspaper and your views toward it? Absolutely. I think it’s probably the best campus newspaper in the nation.